Equilar is growing rapidly and looking for exceptional talent to join our team and drive our business to the next level. As we enter new markets and build new products, new career opportunities become available every day. We make significant investments to train and develop our employees and offer a fantastic training and development program which is why Equilarians are some of the most sought after talent in the industry. (This is something we take great pride in!). 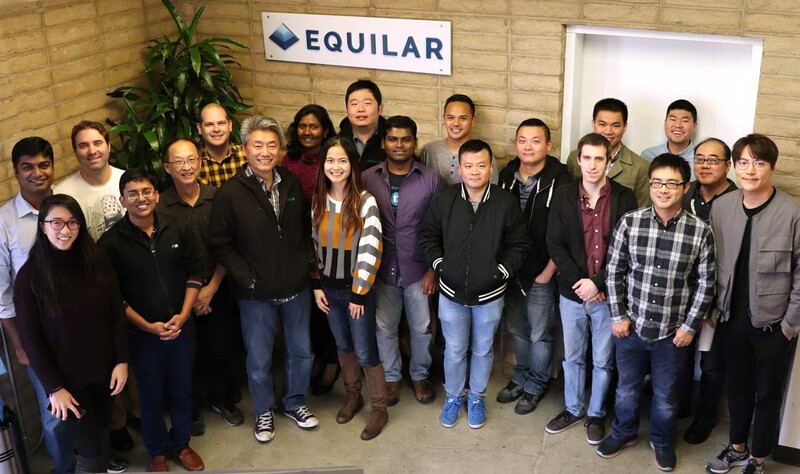 Couple this with great people and innovative products and these are the reasons why employees join Equilar. We’d love for you to join us too. Since being founded in 2000, Equilar has continually raised the bar in developing industry-leading executive data software for over 1,000 clients, including public and private company executives and board members, compensation consultants, institutional investors, attorneys and other corporate governance leaders. Our unrivaled cloud-based platforms never compromise on delivering the highest-quality information with accuracy and integrity. Above all, we believe it’s our deep understanding of the executive experience that enables us to continually create innovative solutions that truly improve business. Whether we are providing compensation benchmarking data or delivering solutions that help companies engage with their shareholders, our unbiased approach to data collection and organization has earned us the trust of the world’s most influential companies, executives, academics and media. Our clients put tremendous value in the ability to quickly access relevant executive data through our software platforms to make informed, intelligent business decisions and drive better results. Needless to say, we spend our time working hard to make sure that our finished product is world-class quality. When you take a step back from it all and realize that you’ve provided business tools to over 75% of the Fortune 100 and are regularly cited in major media outlets like The New York Times, The Wall Street Journal, Fortune, Bloomberg and CNBC, it’s clear the value of all that hard work is paying off. We encourage you to explore the information on these career site pages and learn as much as you can about us! "We're entering a world where data may be more important than software." Equilar was a "Big Data" company before data became big, recognizing the value of data buried in SEC filings when the EDGAR system became available in the late 1990s. We were founded in 2000 to make the data in these documents easy to analyze. On a day to day, here’s what that looks like. 1. Extract. How do you capture all of the relevant data out there in a cost effective yet highly accurate manner? Automation. We leverage the latest techniques to capture electronic information from SEC filings and forms. We use state-of-the-art technologies and employ machine learning, natural language processing and other cutting-edge tools to help us capture the information that our clients seek. Curation. We recognize that machines can only go so far. At the end of the day, having lots of data is of little value unless you can deliver it with the highest quality. We invest tremendous resources in developing proprietary research tools to help in the curation process. Through our highly refined cleansing and normalization processes, we significantly increase the value of the raw data and package it in a manner that’s highly relevant for our clients. 2. Analyze. Once we have a large, clean dataset, that’s when the fun begins. What are the interesting trends that we see with this data? What are the business implications, both good and bad, of these trends? How can we best serve our clients with this unique information and improve company performance? Who would benefit most from access to this information? With our unique role in the marketplace (independent, neutral and trusted market leader), we are in an enviable position to identify patterns and trends in the marketplace well ahead of others around us. In the words of hockey legend Wayne Gretzky, “Skate to where the puck is going, not where it’s been.” We take feedback and knowledge to introduce state-of-the-art products and solutions well ahead of any of our competitors. 3. Present. Now that we’ve identified an interesting trend, how do we communicate it to our clients and the broader marketplace in the most elegant manner? How can we incorporate graphics and images to present these trends in an impactful, visual way? What products can we build to help get the message out to the target audience? How can we incorporate the latest online marketing techniques and social media tools to help create awareness and ultimately improve corporate governance in America and throughout the world? Much of the culture at Equilar stems from our foundation as a research and information services company. Our employees are focused and driven with everyone working toward one common goal: to make our products and research the best in the industry. Attention to detail is a quality you'll find in every employee here. We expect high quality work, high productivity and high levels of professionalism. At the same time you will find friendly, down-to-earth employees and an open, collaborative environment. How do employees balance their time? Equilarians can often be found playing Foosball, ping-pong, video games or arcade games at lunch or going out in groups to the local Redwood City eateries (Chipotle anyone?). In the EquiLair, our lunch room, you may find yourself chatting with an executive as you fill up your Equilar water bottle. In the afternoon you might see employees coming back from Starbucks with trays of iced coffee for their team. After work some employees play in Equilar softball or basketball leagues or you may just grab drinks on your way to the Caltrain station. We do have a busy season (spring) but in general you're not going to find employees working late nights because we know that we’ve hired intelligent, driven people who know how to manage their time. We cultivate high achievers and top quartile performers so if you're driven and looking for a challenge we'll provide you with the opportunities to do so. Our open-office environment encourages collaboration and feedback and despite a roster of over 100 employees, you’ll very quickly come to know almost every Equilarian across every department. We value integrity and ambition over experience and pedigree. We make significant investments to train and develop our talent. We truly care about the growth and success of our employees and would love for you to meet some of our team. Click on the links below to learn more about life at Equilar. I joined Equilar after graduating from Tufts University with a degree in Quantitative Economics and a minor in Music (I played the French horn for 10 years). I had a strong academic record but minimal work experience. I also wasn’t well polished or great at interviewing so I needed to find a company who saw through my introverted exterior. I found in Equilar a place that was open to hiring (and in fact desired) academics like me. Returning to the Bay Area was also a plus – I grew up locally in Benecia, CA. Before continuing, you should know that I’ve been with the company for over eight years. I’ve been on the Research team for all eight. Most of the bios you’ll read on this site talk about the Rotation Program and exploring different departments. I hope this story speaks to all the analytical, academically strong minds who desire true subject matter expertise. My first title was Research Analyst. In this role I contributed to the core product suite and started building out my experience with custom research projects. I ended up specializing in transaction and special reward projects – such as M&A (merger and acquisition) and retention award analyses. I proved to be a very consistent analyst and towards the end of my first year began working on media analyses - an area of extremely high visibility. It was around this time I realized I wanted to stay in Research long term and become an expert, well-rounded analyst in the executive compensation industry. By the end of the 2nd year I had mastered several more areas of expertise. Over the next few years I went from being the initial analyst on projects to being the final review, training others, and managing workflow. My greatest challenge up to this point (shared by many analysts) was preparing to speak with clients as a Project Manager. In my third year, I overcame this and started taking client calls, converting conversations into paying projects, and leading the execution of those projects. Fast forward a few more years and I’m now leveraging my experience to manage others (another one of my biggest personal challenges), manage Research team operations, contribute to product development, and become a Certified Equity Professional (CEP). I now hold a Director title. 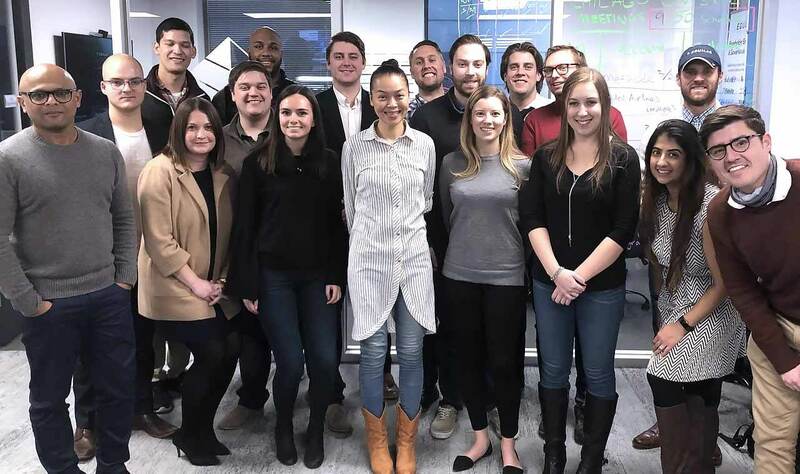 In this role, I’m trying to build out the capabilities of the team, build revenue generating products, and continue leveraging my expertise to contribute to the growth of the firm. Research Analyst I/II. Analyzed and reviewed SEC filings for hundreds of public companies. Became responsible for reviewing research data and publishing it directly to the Equilar database. Also began to specialize in specific areas such as transaction awards. Senior Research Analyst (I/II). Took over media surveys, reviewed and planned custom projects with clients. Expanded areas of expertise within custom research. Project Manager. Lead and facilitated the majority of projects that came through Research. Managed media survey data and workflow. Trained others in these areas. Started managing for the first time. Senior Project Manager. Developed specialized Research projects that turned into revenue generating products. Continued building up management skills. Associate Director of Research Services and Innovation. Worked with Sales and Marketing to bring new products to market. Managed team of Project Managers. 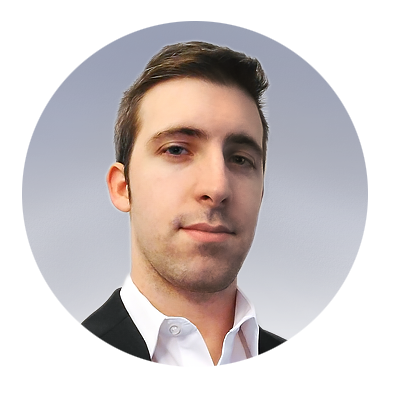 I first joined Equilar as a research intern in September 2012 and then later moved to a full-time role in early 2013. I came from the University of California, Santa Barbara, where I majored in Business Economics with a minor in Philosophy. While I can’t say I knew in advance I wanted to pursue a career within Equilar’s niche industry, I was always a math and numbers-focused individual and the research position here provided a good entry point related to my strengths. I quickly gained exposure to SQL and Equilar’s large database of information provided a great training ground for honing and refining my skills. 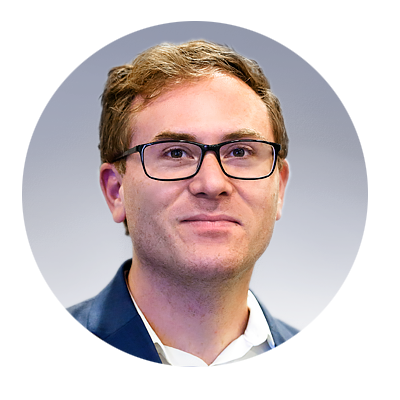 Being able to play around with such a large dataset of information piqued my interest and when a rotation opportunity arose to join a team focused on exploratory ways of capturing more data, I jumped on the chance to get involved. Transitioning to the products department was an exciting and pivotal shift to my career. Soon I was working alongside software engineers to define and build new features, and as Equilar expanded its product offering I saw my contributions begin to have a lasting impact. The problem-solving aspect of the role combined with the aspirations of the company ensured that there were always stimulating challenges to overcome. Today I am a Senior Product Manager. Over my time here I have helped drive products both new and old, have overseen teams both large and small, and have gotten to know many great individuals along the way. Research Analyst. Analyzed SEC filings and captured information for Equilar’s suite of data-driven products. Collaborated with others to determine trends and write research reports. Aided in the retrieval and verification of data for media surveys and related requests. Senior Research Analyst. Trained new research analysts and gained responsibility over specific silos of the data collection process. Continued to analyze SEC filings and pull together data for custom requests. Associate Product Manager. Worked alongside a team of engineers to refine Equilar’s proprietary data-collection technology. Wrote product specifications and managed development cycles to see engineering efforts come to fruition. Product Manager. Gained managerial responsibilities and trained new associate PMs. Routinely presented ideas and status updates to the executive team in order to influence the engineering roadmap. Oversaw the responsibility of my engineering team expand to cover multiple products. Senior Product Manager. Continued to manage the development of multiple products while advising new PMs with a team of their own. Giving back to the community is important at Equilar. Whether it is with time (community service projects) or money (donations), we wish to continually give back as the company continues to grow. Equilarians are involved in a variety of community service projects throughout the year. We are open to helping many different organizations and encourage our employees to take the lead if there is a cause they are passionate about. Education is a key component of the success of Equilar, which is why we're proud to assist students both at home and abroad. With the help of the Asian Pacific Fund, we're pleased to offer the Equilar Scholars Program, which provides two $1,000 scholarships to UC Berkeley and UC Davis students each year. Equilar had a great time at Butler Koshland Fellowships: Who's Your Mentor event! 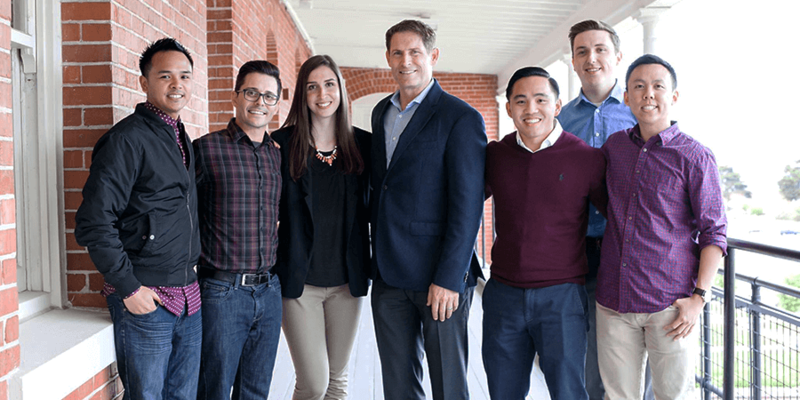 Here’s a picture of the team at the event with Steve Young! Equity Ownership and Profit Sharing. Our pay-for-performance culture gives top-performing employees the opportunity to take part in a unique profit sharing program. We offer a broad based S-corp equity ownership structure that pays out annual cash distributions to its employee shareholders. Providing equity ownership opportunities and profit distributions is our way of sharing the success of Equilar with you. 401(k) Match Program. We generously match up to four percent of total compensation in our 401(k) plans, and have never reduced, eliminated or capped our matching contribution. Employees are eligible to participate in our 401(k) plans after six months of employment and all company matching contributions are immediately vested. Health Benefits. We provide employees and their eligible dependents medical, vision and dental coverage. We have five medical plans to choose from, including two high deductible plans with HSA. We also provide life, AD&D and long term disability coverage for all employees. Training and Development. Equilar promotes a culture of continuous learning and strives to offer top training and development opportunities. Under the LearnGrowLead (LGL) Program we offer professional development training, a reimbursement program, mentor program, rotation program, management training and more. Onsite Company Gym.We are committed to keeping employees happy, healthy and productive. Our fully-equipped onsite gym at our Redwood City office is open to all employees so you can come to work refreshed and energized. Free Caltrain Passes. Our office is within walking distance of the Redwood City Caltrain station. We offer free Caltrain Go passes to full-time employees who choose to take Caltrain as their primary method of transportation. Time Away. Time to recharge is an important part of life at Equilar. Regular full-time employees receive vacation days, sick days, annual holidays and a company-wide year-end "Holiday Week" off. Charitable Match Program. Giving back to the community is important at Equilar. Our Charitable Match Program encourages participants’ voluntary support of educational, cultural, civic, community and health and human services organizations. Each calendar year, Equilar matches up to $1,000 of an eligible participant’s personal contribution to an eligible organization. Education. We are looking for employees who care about growth. We seek candidates who have demonstrated a commitment to their education and personal development and will continue to do so throughout their time at Equilar. Quality. Our reputation for quality data and service is very important to us, and extends to our employees as well. Accuracy and attention to detail are traits we look for in every applicant. Unity. Though we're growing, we want to maintain a small-office environment. The open layout of our building encourages collaboration, and we seek candidates who will contribute to a team atmosphere. Innovation. We’re dedicated to expanding our market, identifying breakthrough enhancements to our service offerings, and building new products. This is what drives us forward. Leadership. The ideal Equilar employee is able to take responsibility for themselves, their team, and the organization, leading when necessary and providing their best work when others take the reins. Accountability. Excellent performance is nothing without integrity. Our top performers are conscious of their strengths and weaknesses and work to improve over time. Results. Ultimately, Equilar is seeking employees who deliver. If you demonstrate all of the above qualities, you will be an amazing asset to our team! We're always hiring intelligent, driven, and passionate individuals to fill new and existing positions. To apply for a job at Equilar, click on your desired role in the "Open Positions" bar to the right, and then follow instructions to submit your resume and cover letter online. Our recruiting team reads every submission and will contact all qualified candidates to schedule a phone interview. The interview process varies from department to department, but candidates who pass the initial stages are invited to visit our Redwood City, CA office for an interview. For some positions we may be able to arrange remote video interviews. Most positions will involve two to three rounds before we make a hiring decision. You will learn more about our industry, our products, the day to day work, and company culture. You'll meet with many different individuals at all levels of the organization. We will learn more about you — your career goals, personal aspirations, passions, and how you might fit into the Equilar family. We will evaluate your knowledge, skills, and aptitude for the position as well as your readiness to contribute to the success of the organization. For current undergraduates, both full-time and internship opportunities are available. 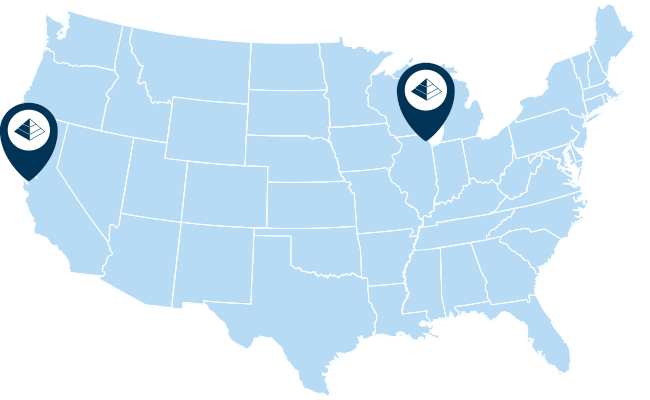 Check with your school's career site to see if Equilar will be attending any career fairs on your campus. We also host informational sessions and conduct on campus interviews at a handful of universities in the Bay Area. Equilar is an equal opportunity employer. We’re committed to employ, promote and treat any and all employees and applicants on the basis of merit, qualifications, and competence. We prohibit unlawful discrimination based on an individual's race, gender, religion, color, national origin, ancestry, mental or physical disability, medical condition, marital status, sexual orientation, gender identity and expression, age, veteran status or other protected status. This policy applies to all terms, conditions and privileges of employment, including recruitment, hiring, placement, compensation, promotion, discipline and termination.